Nokia plans on creating a limited number of handsets inspired by the newer Batman franchise. 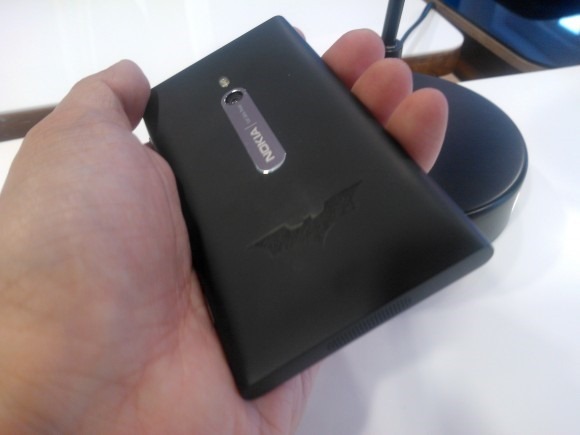 The Lumia 800 will feature a laser-etched Batman logo on the back of the device. Inspired by the movie Dark Knight Rises, due out in theaters next year, the phone is basically a normal black variant of the Lumia 800. Peculiarly, a Batman logo is found on the bottom of the device. You’ll most likely hide it when holding it in your hand. The logo being black doesn’t help either, resting on a black phone and all. This isn’t the first time Nokia pushes out limited edition phones inspired by the movies. The Nokia 8110 was used in the original Matrix movie. The phone was modified with a spring-loaded slider that became so popular and sought after that the company introduced the mechanism in their next model, the 7110. Batman Dark Knight Rises is the third series and a sequel to Batman Begins and The Dark Knight. Creating a phone inspired by the movie is not a bad move. Fans lined up for the previous movie bringing box office sales topping 1 billion. Aside from huge success in the box office, Batman has gained popularity in game consoles as well. Batman: Arkham City, the sequel to Batman: Arkham Asylum, received mostly positive reviews powered by huge sales. Batman: Arkham City Lockdown is also available for iOS. The photos come from a tweet by Nokia blogger @jonchoo, but now he’s given us something even better: the video of an actual unboxing of the device. As he opens the limited edition Batman package, number 27 out of 40 apparently, he showcases the phone’s etched batman emblem. Aside from subtle differences, everything else seems to be the same, including the inner packaging. Earlier we reported how Nokia plans to use Windows on their future current lineup. They predicted that the current youth market are bored with Apple and Android products and are striving try to find something new. The company would then come in with a better “out of the box” experience. Don’t start heading off to pre-order one just yet. 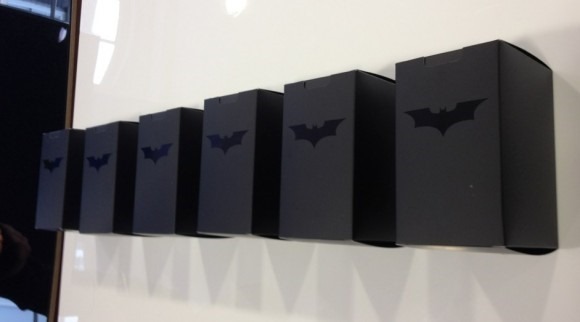 Nokia only plans on producing 40 of the batman phones. That may change in the future.